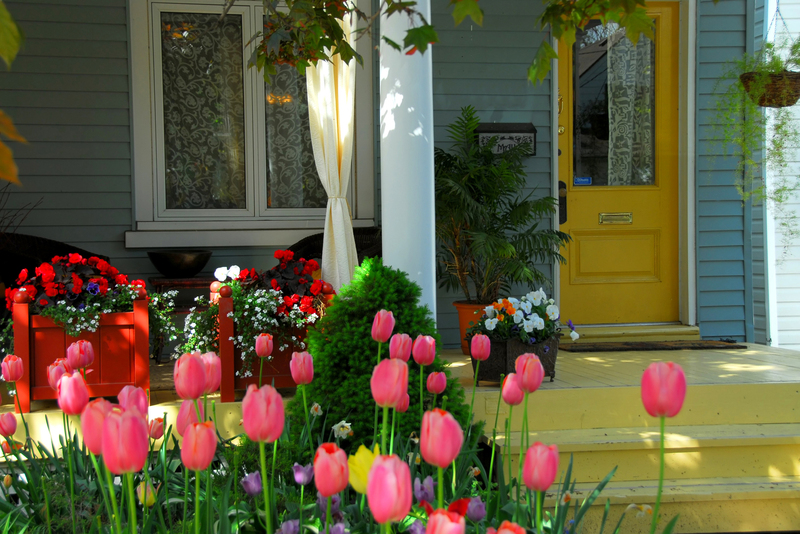 Spring is officially almost here, and you are thinking about selling your home. Congratulations! This process can be overwhelming; maybe you are unsure where to start. Or maybe you are worried that no one will love your home like you do. Don’t worry, these stresses are completely normal! You’re in luck – besides using a professional real estate agent, there are several simple home repairs you can do that may improve the showing of your home. Keep in mind, this list is in no particular order but each step you take will move you closer to a sale! Many factors influence the success of your sale, including market changes, location, price, condition, marketing, etc. That being said, the following tasks don’t impede the home selling process, so why not have some fun and try? Grab a set of clothes you can get dirty in and let’s get to work! While you may not enter the home through the front door, any potential buyer is likely to come in that way. It is important to make sure the front door opens, closes, and locks easily; you don't want a potential buyer to have to fight to get in or out of your home. A fresh coat of paint on the front door can make a world of difference in terms of curb appeal and can set your house apart from others that may look similar. A potential buyer's first impression is generally made upon pulling up to the home and judging its exterior. If your home's exterior is sloppy or unappealing, there is a good chance that the potential buyer will form a negative opinion of this house before even seeing the interior. Don't let your yard work get away from you; keep up on any outdoor maintenance that will help your house look pristine. If your roof is in bad shape, a potential buyer will notice. By doing an easy roof repair, you can save yourself time in the negotiating process by eliminating that from a list of things the potential buyers may want done before they finalize an offer. Be sure to present your home at its cleanest. Even if your home is in pristine condition, if it is cluttered and dirty, the potential buyer will not be able to fully appreciate its quality and value. Keep your house as clean as possible while it is on the market in order to have it best represented; especially the often neglected areas such as basements, garages, and utility rooms. Believe it or not, the way you maintain your home reflects on how you are as a person; potential buyers will be more inclined to work with a seller who seems organized and put-together over one whose house is a mess. Weather permitting, allow your drapes and blinds to remain open when showing your home. This provides the various rooms of your house with natural light to add a spacious and more open feeling and eliminates any unsettling odors without attempting to cover them up with artificial air fresheners. If you can, again depending upon the weather, cleaning your windows will make the home look better from both the outside and inside. Think of applying a fresh layer of paint to your home as giving the place a facial: it isn't complicated or very costly, but the results are immediately visible and rejuvenating. Light and neutral colors can brighten up rooms that might seem dark or closed off, and these colors are more tasteful and add a sense of calmness to the home. Any outdated decor, including wallpaper or wood paneling, should be removed or painted over. You will feel refreshed in the newly painted home, and so will potential buyers! Because bathrooms are areas of high use, you can be sure that most potential buyers will look closely at these rooms. Anything outdated or broken should be replaced, including hardware, flooring, and fixtures. Make sure things that are supposed to work actually work, including the toilet, faucet, and tub. If you have been having any issues with drains, consider investing in some inexpensive clog remover from your local hardware store. Caulking is another thing that can be easily replaced and makes a big difference to the bathroom's quality and appearance. Regardless of the type of flooring your home has, be it carpet, tile, hardwood, etc., you should make sure it all is clean and in good shape. It is a good idea to have your carpets professionally cleaned, especially if you have pets, or removed entirely to expose coveted hardwoods. Refinishing hardwood is not as hard as you may think; sanding and applying a finish is relatively easy once you clear the area of furniture and decor. Clean the grout between tiles, which will add a shine to a tile floor and make it appear new. If any tiles are chipped or cracked, they should be replaced before you show your house to potential buyers. This list of simple home repairs is not exhaustive; it is important to make sure your home repairs are going to give you a good return on investment. Don’t stress too much about completely remodeling your house, simply put in the work to increase your home’s value with little cost to you. 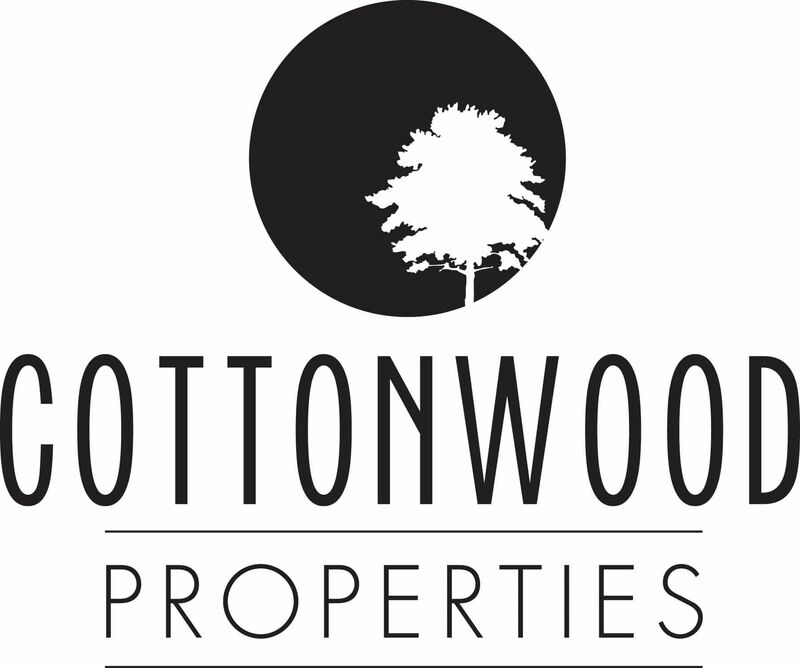 When you’re ready to sell, Cottonwood Properties is ready to help!